The Sensex and Nifty recovered today as a weak rupee buoyed the appeal of technology shares amid a mixed trend overseas. The Sensex rose over 318 points to close at 34,663, just a day after it had tumbled 306 points following a late-session sell-off. This is the benchmark's biggest single session gain since April 5, when it had surged 577 points. The NSE Nifty scaled a high of 10,535 before closing at 10,513, up 83 points, or 0.80 per cent. TCS, Infosys, Wipro, HCL Technologies and L&T Infotech rose up to 5.85 per cent as a weak rupee brightened the earnings outlook of Indian IT outsourcers. Global cues were mixed amid caution over US-China trade relations, with the US launching a national security probe into auto imports that could lead to new tariffs. SBI extended its gaining streak for the third straight session, climbing 2.01 per cent. 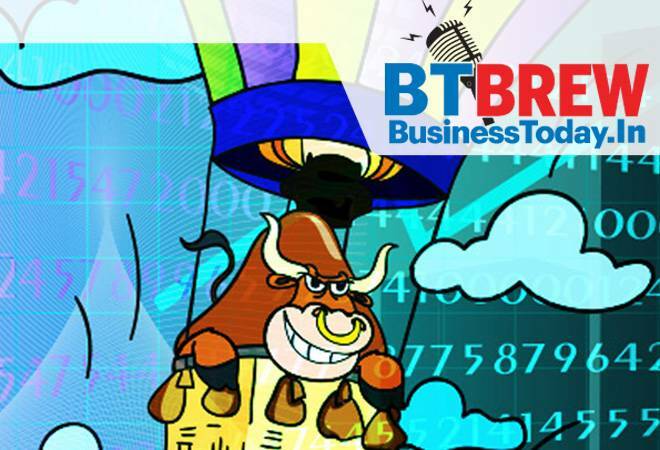 Bharti Airtel led the index gainers' list, surging 4.11 per cent, followed by Infosys at 3.09 per cent. However, Tata Motors was the biggest loser in the Sensex pack, declining 6.56 per cent, after the company on Wednesday reported a 49.82 per cent fall in consolidated net profit with its British arm JLR continuing to face challenges in the UK and Europe.